When my dad uttered these words, my eight-year-old self would fly into a flurry of excitement. A treat meant ice cream. 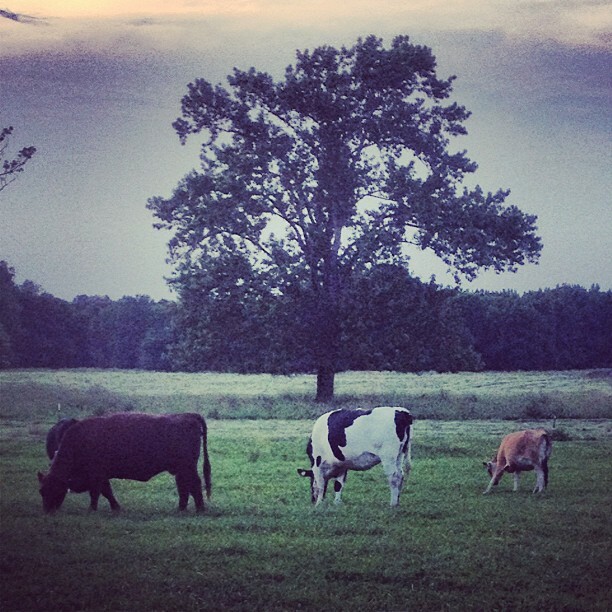 And ice cream meant Peaceful Meadows, a dairy farm in Massachusetts (my homeland). 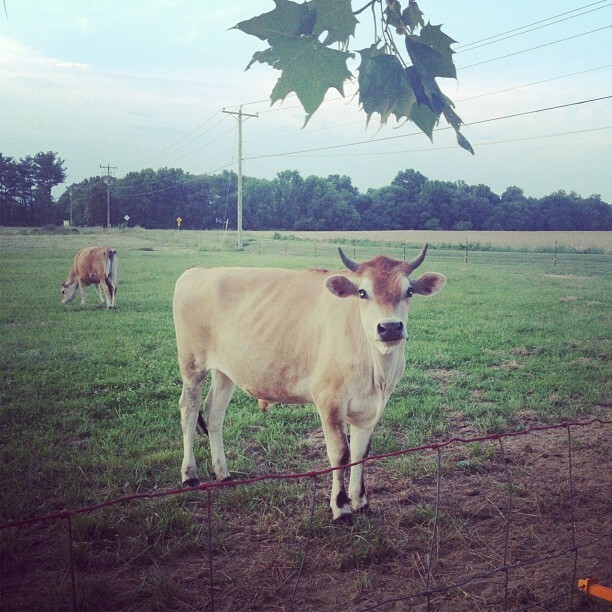 Not only does Peaceful Meadows have amazing ice cream treats, but it also has cows. Lots of them to watch whilst enjoying your Coconut Chocolate Almond Hot Fudge Sundae with extra (and homemade) whipped cream. Nothing better in the world even now that I’m all grown up. 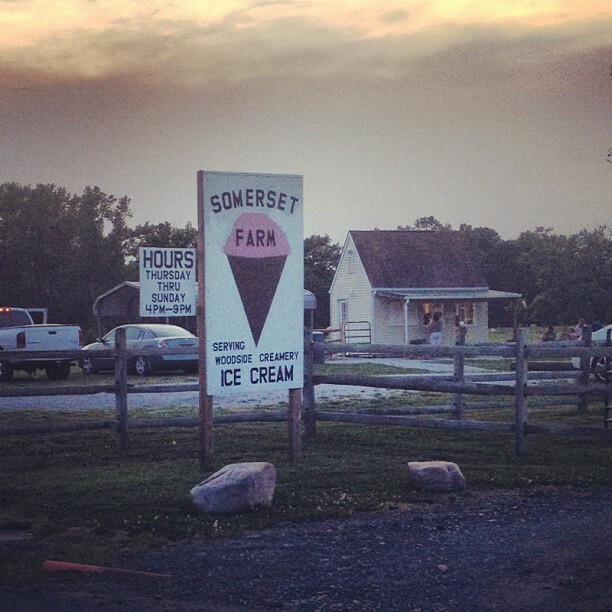 So imagine my pure joy when pulling into Somerset Farm, an ice cream place right up the street from my house. 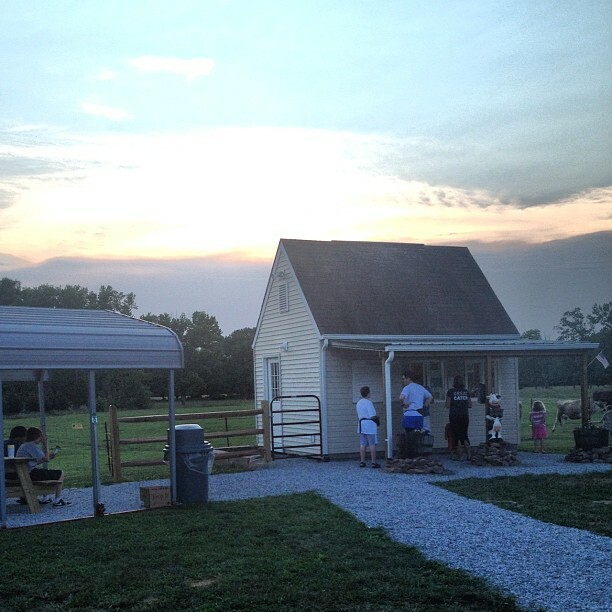 The family-owned business serves local Woodside Farm Creamery ice cream in a very Peaceful Meadows-esque setting. Cows included. 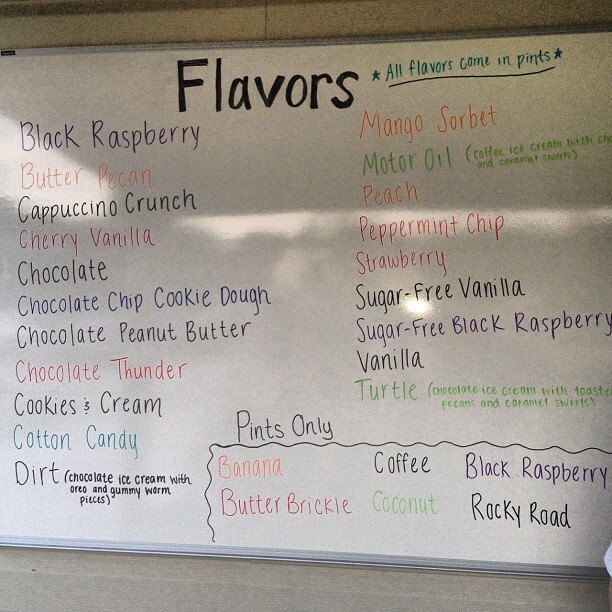 Surveying the flavor board, I discovered Somerset Farm offers more than enough flavors for every family member. After a taste test, I ordered the Chocolate Thunder, which rivals brownie batter. The husband enjoyed his Chocolate Peanut Butter on a sugar cone, while my brother tried the Motor Oil (coffee ice cream with caramel and chocolate swirls). 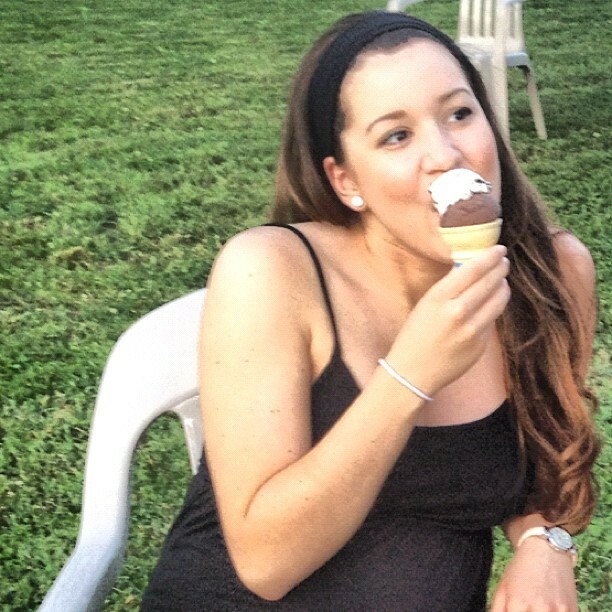 My sister-in-law dared to be different with two flavors on one cone–Chocolate Thunder with a Cookies and Cream topper. We were satisfied with our choices and the price–only $7.50 for all that creamy goodness. After sitting a while enjoying our treats, we stood near the fence to watch the cows grazing in the field next door. When I have an ice cream cone in my hand, I can concentrate on little else, so cow watching is the perfect accompaniment to ice cream eating. It requires no concentration whatsoever, except for maybe the occasional staring contest with a friendly cow. We decided this cow was on his way to a rave. 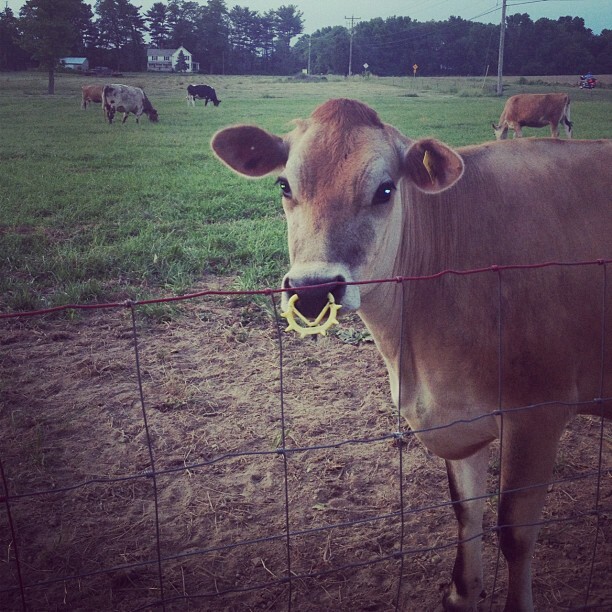 Why else would he be wearing such a brightly colored nose ring? 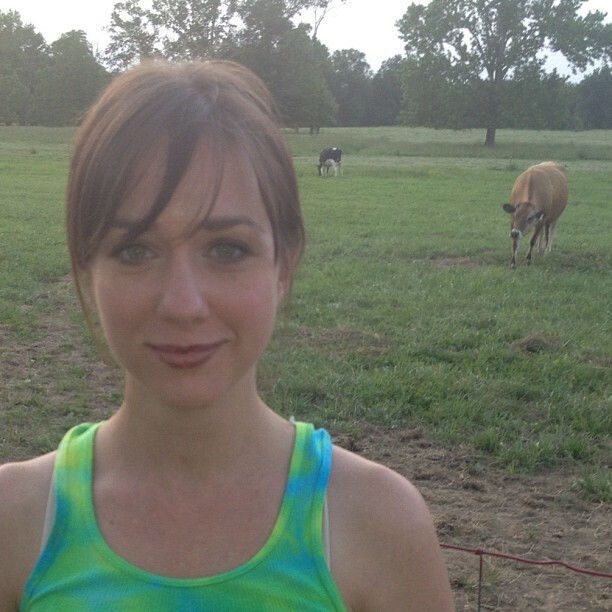 My husband seemed overly eager to take a picture of me with the cows. I soon discovered the only reason he snapped my photo was because of the Chocolate Thunder all over my face. Families milled about as they ate their cones, checking out the cows or finding a spot underneath the magnificent tree on the property. 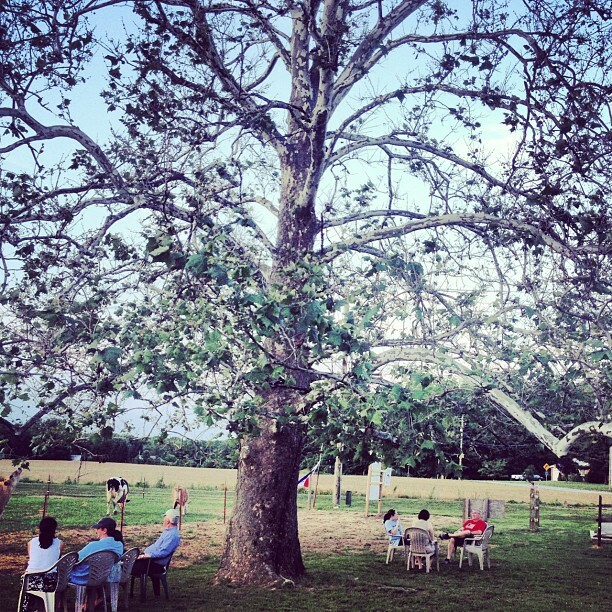 I felt like I was on a Southern plantation when sitting under that tree. All I needed was a hoop skirt, corset, glass of lemonade, and a genteel Southern accent. OOOOOOOOOOOOhhhhhhhhhhhhhhh!!!!!!!!! Ice cream…I like it. I love me some ice-cream. This sounds like an amazing outting. Makes me want to go to my favorite loical icecream spot right now. The ice cream was so good and the scenery was lovely. Cows are so cute! It WAS idyllic. 🙂 And the ice cream is sooo good. I take all my photos with my iphone. I’m thinking I need to upgrade to a real camera soon, as I LOVE taking photos. Makes me want to stop on my way home and get some “whilst” I stare down the cows! Those pics were great. Kaila is a lovely pregnant woman, for sure. Beautiful spot, wonderful ice cream and a wonderful family who runs the ice cream stand. This should be a definite outing for anyone in the area. I agree! It’s a fun place! Thanks for stopping by, Eileen. I love this creamery! I have been going there since I was in elementary school because my aunt lives about 5 minutes from the creamery. The next best tastiest and creamiest ice cream I have ever had is at the UD Creamery near the field house on south college avenue in Newark. They make their ice cream using the milk from the cows on the farm right next store and have amazing college flavors such as the “All-Nighter” of “Delaware River Mud Pie” which is my favorite and tastes much better than it sounds! 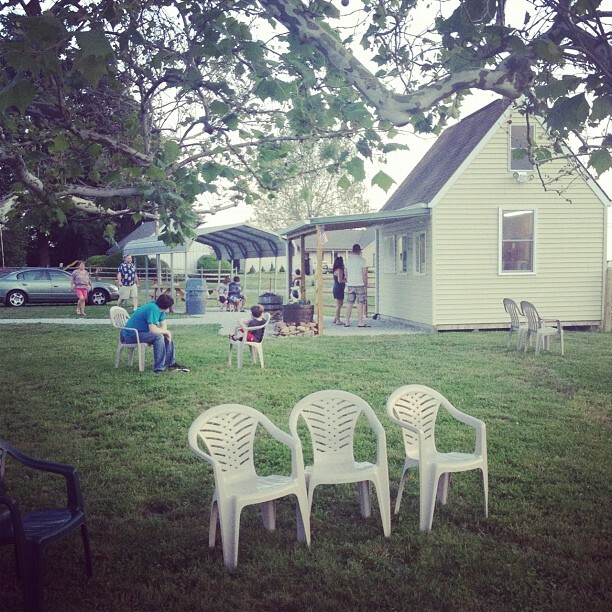 Here is a link if you would like to check it out: http://ag.udel.edu/creamery/. Maybe we will have to make a trip this summer: you, me, and natalie? Girl trip!